In July 2018, when we launched the Local Digital Declaration, I announced I was committing £7.5 million to help achieve that ambition. I am delighted to announce the Local Digital Fund, which has been created using that money, opened for applications on Monday 24 September. We at the Ministry of Housing, Communities and Local Government (MHCLG) will be using the fund to support you in local government. Let me explain how you can benefit from it. As set out in the Declaration, we want to help local authorities break their dependence on inflexible technology, adopt the best digital ways of working, and ultimately offer excellent local services for less. The fund will enable this by training around 1000 local government staff in digital skills. It will also seed fund a toolkit of reusable tools and products that help service teams redesign their services to Declaration standards. There will be a two-stage application process that invites local authorities and central government organisations to bid for money from the Fund. From Monday, you’ll be able to submit a project or idea you would like to have funded through our expression of interest form at localdigital.gov.uk/fund. You can make multiple submissions for multiple projects. This stage has been designed to enable the team at MHCLG to match up similar ideas or groups of ideas being put forward by different councils. By putting councils in touch with each other at this stage we aim to encourage shared and/or complementary bids. We’ll also use the expression of interest to survey for training needs, and use the information to offer tailored skills training from the early New Year. In the second phase of the application, promising applicants will be invited to submit full applications from 15 October 2018. The Local Digital team have created a prospectus for the fund. 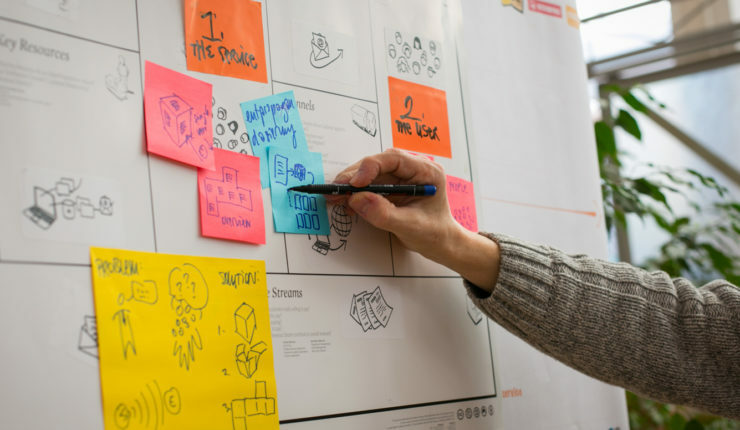 The team have also blogged about their initial user research to identify the digital training needs of leaders in local government, and they’ll keep you updated on course plans as they develop over the coming weeks. I hope you will take advantage of this fantastic opportunity to improve the services for our citizens by working together. I look forward to seeing the outputs of the collaborative working that the fund will enable. Learn more about the fund on the Local Digital website. The Local Digital team are using LocalGov Digital’s Slack as a communication channel. Become a member and join the #mhclg-fund channel to discuss the fund, ask questions and identify others to work with.